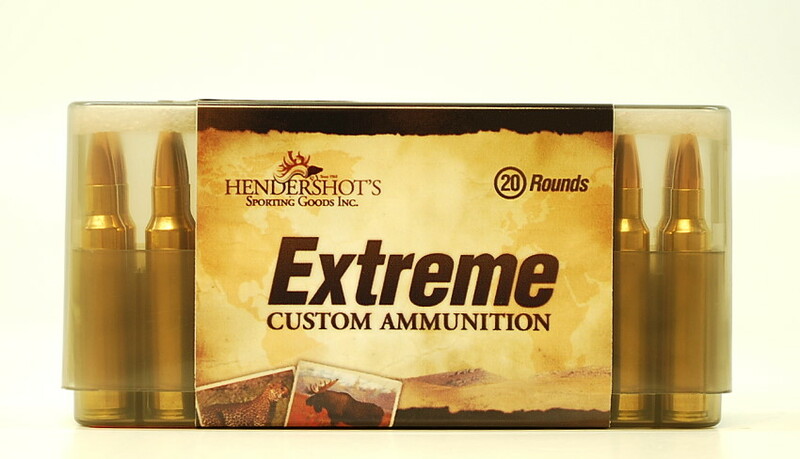 Hendershot’s “Extreme” Custom Ammo is your best choice for 300 Remington Ultra Mag ammo! We offer you a multitude of choices with todays high performance bullets. Our recommendations are as follows. Berger VLD – Exceptional accuracy! Great for deer size game, rapid upset and violent terminal expansion. 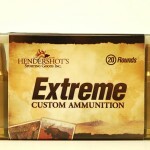 Hornady ELD-X – Reliable and dependable expansion, an excellent choice. Barnes TSX/Tipped TSX & LRX – Deep penetration and exceptional accuracy. Nolser Accubond – Bonded core bullet that offers a nice balance of quick expansion and good penetration. Barnes TSX/Tipped TSX & LRX – These all Cooper bullets deliver deep penetration and excellent accuracy. A great choice for elk and African plains game. Swift A-Frame – One of the finest hunting bullets ever designed. Deep penetration, exceptional weight retention and reliable expansion make for outstanding terminal performance. Nosler Accubond – A great bullet for long range hunting, with its high ballistic coefficient and bonded core, it delivers consistent accuracy and expansion. We are more than happy to discuss bullet performance relating to our 300 Remington Ultra Mag ammunition and bullet selection for your rifle. Please call us at (240) 347-4883 and we will be happy to speak with you! Hands down the most consistent ammunition I have ever used out of my 300 RUM. The ammunition will put you at ease making those shots over 400 yards. Trust me!! Thank you for the support Spanky!